Great one of a kind shoe. Have bought several colors and ordering several more! Like other reviews mention, the shoes run large and the heel feels like the shoe is going to come off. I usually wear size 10 so I tried the 9.5 but felt tight on the toes, then the 10 is large, I had to add insoles to help with this and will add something to help with the shoe slipping off. Other than that these shoes are really comfortable and light weight, and of course they look awesome! Most comfortable shoes I have ever worn!! The best shoes on the planet!! Each time I wear these someone asks me where I bought them. Women ask for their husbands and men ask how they fit. I usually wear 11 in most shoes like Nike, Under Armour, Olukai, or Tommy Bahama but 10.5 is perfect. Love the leather versions of these Zero Grand shoes but the woven version is not for me. In the same size I bought in the leather version it did not fit tightly on my foot. Rides up on my heel. Even a half size down doesn’t fit the way I like. I’ll stick with the non-woven version. Very happy with them. Fantastic shoe, feels like your wearing a tennis shoe. One of the most light weight dress shoes I have ever owned. And with the lack of weight it doesn’t lack on comfort or durability. Extremely lightweight and comfortable. A must buy. Probably my favorite pair of Cole Haans. Ultra comfortable yet highly durable. Also very versatile as they can be worn to work or on the weekend. I get questioned on where I got them and what brand they are about once a week. Grey / white combo is suprisingly easy to keep clean as well. I have multiple pairs of CH, and am a huge fan, but this design/material runs 1/2 size big. Got 3 different Colors of this style. Really good craftsmanship to this design, I had to get the ironstone first to really show its designs as it is unique and gets complimented a lot, I also got the navy and black because they just look so great with a pair of jeans of khakis. I would go down half a size as i usually wear 10.5 but I am a 10 in this style. This show has started several conversations around the office. They are stand-outs. Surprisingly versatile, these work with dress and casual pants - even jeans. I'm a 10.5 in my shoes. i bought my first pair in 10.5 and later bought tow pairs in 10.0. the tens are a much truer fit. extremely comfortable shoes. i would highly recommend them. just watch the sizing. Very comfortable. Can't wait to get them back in the mail. 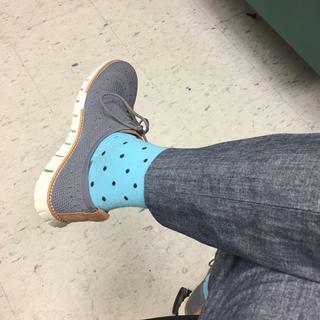 I recently took these Oxfords on a trip and I received many great complements on the look. I was able to dress different looks and they were great in warm temps with a lot of walking around. I am looking to purchase more colors. This shoe feels very comfortable. It's light, yet has great cushion. It's casual yet sporty. I can wear it with jeans, slacks, shorts, or even a suit. Super comfortable. It feels like a primeknit sneaker. It does run a little big. Go half size down. The shoe very comfortable and light weight. Love the feel of the shoe. Great feel to the show. Comfort level is second to none and you can wear them with anything. Coach high school football and got the seal of approval from my players.....and I'm 52! Enough said!?? I've got a lot of comolements over this shoes. Really comfortable and classy, feels like walking on cotton lol. I recommend it to anyone who loves classy and comfort. I wear them for work and casual as well. Your looks are going to be unique with these shoes. Unbelievable comfortable. Runs big, I had to get a half size smaller than my usual. Trying to make the big dollars. My husband loves his so much I ordered them for my Dad! People stop and compliment him all the time on his shoes!!!! Product feels good, and awesome quality. Saw them on a friend! The style, the comfort and the price is the reason I want this. Saw a friend with them this morning and he said they're comfortable. I saw someone wearing them and they looked great. I also wanted a color that was uncommon. Additionally, it is hard to find size 14, so I tend to buy them as soon as they are available. I've purchased several pairs of the style and they are the most comfortable shoes I've found to date; therefore, I know these will be a great option for summer wear and comfort. i pick these for my sons birthday gift. They look comfy and versatile whether dressing up or down! Just worried about the width cause they look pretty narrow! Thought these would go perfectly with my style and how I use dress shoes. 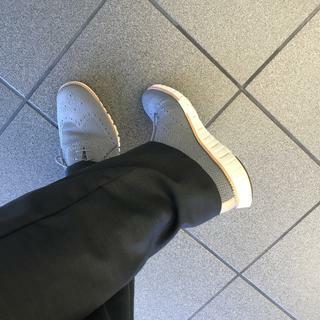 In the car a lot and need comfy shoes to drive and walk around manufacturing facilities. sleek shoe that looked casual but that could be worn out for a special occasion if paired with right outfit. I have leg problems & my company requires dress shoes! I work with a few men who wear these shoes and they look SO GOOD! I've noticed these shoes on them since they started wearing them, so when it came time to buy my boyfriend's birthday gift, I knew exactly what I was going to buy. These shoes look really nice with jeans, I highly recommend them and I know my boyfriend is going to love them! Have recently purchased the shoe (different color) and really enjoy them; very comfortable! I saw them on a guy in the airport and fell in love. With the shoes.... not the guy. Because this is very comfortable and beautiful colors, this will look good on my friend! They are the perfect shoe to go with joggers and to complete an athleisure look! Heard they were amazing. Look cool. Perfect cross between comfort and business casual. A fancy sneaker is what everyone wants in the business casual world. Now just hope they fit and feel as good as I hope. How would I clean these if they get dirty.. Does Cole Haan sell cleaning kit for stichlite?? I feel like the back is loose or stretchy is that normal? BEST ANSWER: This style is made from a woven fabric, so the fit will be somewhat lighter and not as snug as a leather oxford. The heel area should conform to your foot. If it does not, perhaps you should try another shoe of the same size to compare. Could be that you have a narrow heel, or it could be that this particular style is not a good fit for you. Do they actually light up? BEST ANSWER: NO! these do not light up. just the name. Will these stretch at all? Also, can we get details on the full outfit the model has on? Most importantly the brand of the pants? Help me out Cole Haan. BEST ANSWER: the upper material is designed to stretch. it's like wearing a sock, so comfortable. the material holds up very well. i wear mine all the time and if anything they've become more comfortable. can't recommend these enough. I do not know the details of the full outfit. I will say they do stretch. I have at least 3 pairs. I also recommend if you are not already to wear dress socks or thin socks. Have no clue regarding the pants etc. I do know that my shoe has not "stretched-out" and still fits like the first day I wore it. Great shoe! Zerogrande shoes washable? If so, what is the best way? BEST ANSWER: The uppers on this style are made from a knitted fabric. We recommend wiping with a soft damp cloth to remove loose soil and perhaps occasional use of a mild soap and damp cloth for other soil. I would only use Jason Markk cleaner on all my shoes. Just follow the instructions provided. Works excellent! BEST ANSWER: They could have arch support in the right size, I noticed these run a half size bigger and because of the material they give a very different feel (almost wider) than the leather zerogrands. They have normal arch support. I use orthotics in mine. They are super light and comfortable. They feel like tennis shoes. The Stitchlite has minimal arch support, however it is super comfortable! Almost nothing, but wearing them is like walking in the clouds! can you waterproof spray it? Men's ZERØGRAND Wingtip Oxford with Stitchlite™ How do you clean white ones? In the gallery, the second photo shows this shoe but with a different sole than what is for sale. 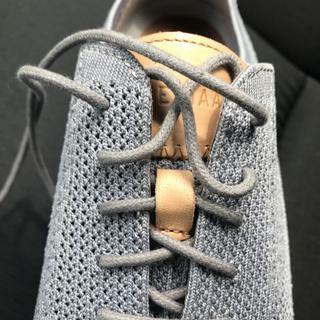 How do I get the sole that doesn't have the weird gaps every half an inch? BEST ANSWER: It is style our Original Grand Knit Wingtip in Magnet, style #C27961 and is available in our outlet stores. How much does one shoe weigh? BEST ANSWER: 1 shoe weighs approximately .55 pound. I'd like to order via your website. Do you deliver to a warehouse addresss? BEST ANSWER: We are able to deliver a shipment via UPS to any address that is able to receive the order, i.e., anywhere mail or packages can be delivered. We do not ship to P.O. Boxes. 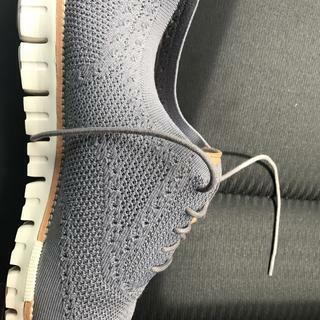 BEST ANSWER: Cole Haan products are manufactured in the world's finest factories using the highest level of artisan craftsmanship and superior materials. Many products are handcrafted using time-honored techniques. Presently, products and materials are crafted in the United States, Italy, Brazil, Vietnam, China and India. This style was made in China. Do they come with additional laces in different colors? BEST ANSWER: The ZeroGrand Stitchlite Oxfords come with one pair of color-coordinated laces. How much can the knit fabric stretch around the toes? Any plans for bigger men's sizes for the Stitchlite? BEST ANSWER: The Stitchlite is available up to size 13. To find larger sizes, go to: Men's/Loafers/Select your size. This will display your size in our sneaker collection. While we may not have the Stitchlite, you may find a Grand Pro that you like! CH used to make a lot more shoes in sizes larger than 13. I've noticed in the last year or so that fewer and fewer shoes are made for this size 15/16 shoe wearer who owns more than 2 dozen pair of your shoes. Are you no longer making the larger sizes in a variety more than 5-7 different pair of shoes? Disappointed customer here who wants to buy several different shoes that you no longer make in larger sizes. BEST ANSWER: The best way to see styles we have available in your size is to search by specific size. Go to: Men/View All Shoes/Select Size 15 to display a current selection of footwear available in size 15.